Arthritis is a general medical term. A summary of more than 100 types of inflammatory diseases associated with joints. Not only is it old age. Two-thirds of patients with arthritis are under 65 years of age. The joint is the meeting point of the bones forming the joint. The joint is surrounded by a strong capsule. Its mucous membrane selects the so-called synovial fluid, which is the lubrication of the joints. It helps to displace surfaces that are in contact with each other (like in motor cars, which helps the movement of pistons). 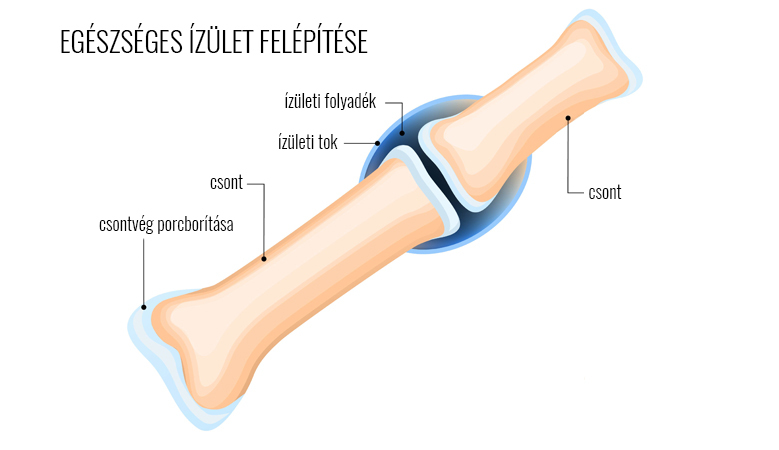 The joints of the bones are covered with cartilage, which is hard and smooth. Az artritisz szó az ízület gyulladását jelenti. A legjellemzőbb tünete a fájdalom, az ízület merevsége és duzzanata (bár néha a duzzanat elmarad). Ha a gyulladás az elsődleges, akkor a betegség artritisz típusú. Ha előbb a csont kopás észlehető, akkor inkább artrózis a megfelelő megnevezés. Az artritisz bármely ízületet érintheti. Leggyakoribb a teherviselő ízületekben, mint a csípő, boka vagy térd. Előfordul a deréktájon és nyakon is. 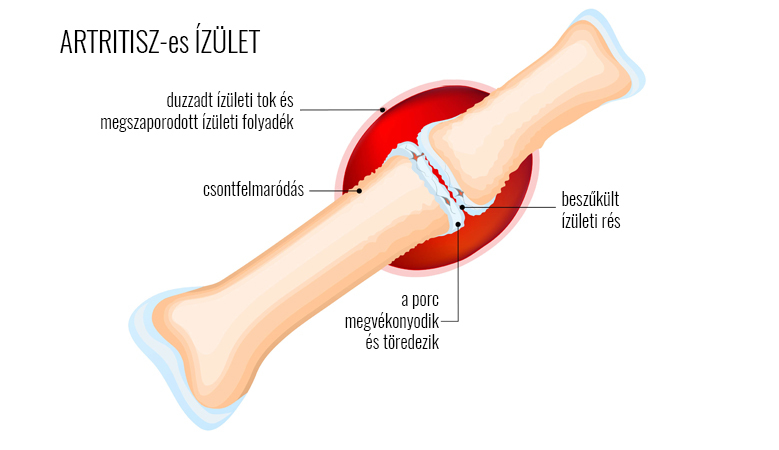 A kéz és láb kisízületeinek artritisze a reumatoid artritisz. Az artritisz tartós fennállása károsítja az ízületi porcfelszínt. Ez a károsodás addig fokozódhat, míg a porc teljesen feltöredezik, lekopik és a csontvégek felszíne érintkezik egymással. Ez az ízületi károsodás az artrózis. If arthritis causes pain, medication pain relief is required. You can also choose non-prescription drugs. Most often, non-steroidal anti-inflammatory drugs are used. They are effective but have many unpleasant side effects, especially when used for long periods. Examples include: gastrointestinal mucosal damage, gastric ulcer or bone marrow damage. The main benefit of physiotherapy is drug-free and there are no side effects. Treatments usually have a slower effect. At least 10-15 treatments are required for the result. Hot therapy, such as hydrotherapy in hot water, reduces stiffness and relieves pain. Similarly, modern far-infrared therapy devices, which take up the shape of the joint, exactly heat and relax the area where it is needed. Regular, but gentle movement is important for arthritis. This enhances the natural production of the joint fluid, strengthens the joint's muscles and thus relieves the joint itself. The muscles that hold the joint can be strengthened with a muscle stimulator. Stimulation quickly improves muscle strength. Improving joint stability has been felt after 2-3 weeks of treatment with a strong pain-relieving effect. Therapeutic ultrasound helps reduce inflammation and pain, but a few months of treatment should be maintained after 10-15 treatments. That is, ultrasound cannot be used for long-term treatment in the same area. The soft laser quickly reduces pain and stimulates healing processes. Can also be used for long-term treatment. Magnetic therapies are primarily used to treat joint complaints because of their analgesic and anti-inflammatory effects. In this product group you will find devices and devices for arthritis treatment.